The American company Apple launches this Friday one of the most anticipated terminals, the iPhone XR. The company has given an essential value to the color section, in which the new model draws attention. In addition, the new device is very interesting for many because of its quality / price ratio, which is cheaper than the XS and XS Max or the previous iPhone 8 plus, introduced a year ago. Apple followers who come to a store where this new model is exposed, it is possible that the first thing that catches your attention is the device’s own color. And, the range of six colors includes: red, black, white, blue, yellow and coral. The new terminal of the brand of the apple presents a design in aluminum 7000 with six layers and screen of 6.1 inches with the new technology Liquid Retina LCD resolution that also installs without frames and with? Notch? 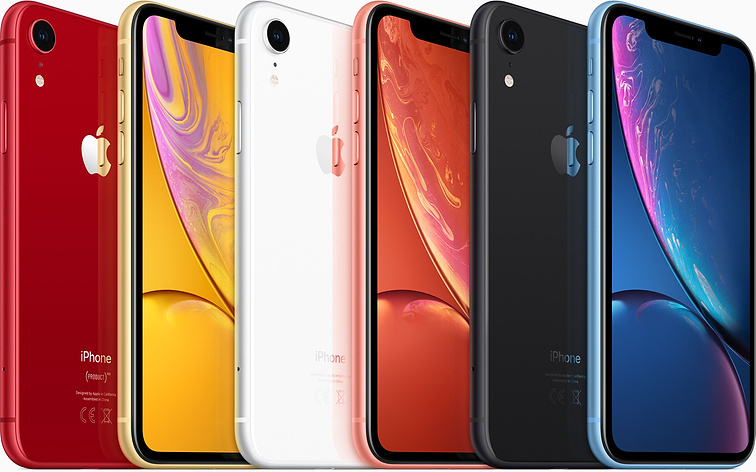 Obviating the theme of colors, the biggest difference between the Iphone XR and the Iphone XS lies in the configuration of the screen. That of the XR stands out especially in color reproduction, while the XS screens offer a higher resolution. In daily use, this change may not be appreciated, but in comparison there is a difference between the two models. In addition, the screen of this terminal provides a haptic unlocking system that replaces the start button by tapping and activates the camera by pressing on the panel. Another great point where the XS model and the XR do not match is that of the camera. Here Apple has chosen not to place the double sensor, to leave the experience of the portrait mode behind the software. The only sensor on the XR terminal has a resolution of 12 MP with f1.8 and offers a wide angle with the possibility of zooming only digitally. The portrait mode with adjustable blur after taking the picture is maintained. For its part, on the front mounted 7-megapixel True Depth camera, the same as his older brothers. Putting the focus on the interior of the iPhone XR, hardly notice differences with their older brothers. In fact, this terminal can boast an A12 Bionic processor with automatic learning features and the Face ID facial recognition by infrared True Depth that works more accurately than in the previous generation. It is also somewhat smaller RAM of the XR, which is 3GB compared to 4 GB of the XS iPhones. Instead, the battery will be identical to the XS and you can choose between three models of XR with a different internal memory. The most basic terminal will be 64 GB , but there will be the possibility of acquiring an XR with 128 GB or another of 256 . The 64 GB model goes on sale this Friday for 859 euros in Spain, or what is the same, 300 euros less than the most affordable of the XS iPhones. What Content Plan for the Long Term?